Barcelona is switching to FOSS the right way, Nextcloud launches peer-to-peer encrypted video calls, big changes are coming to Google’s AMP & why the BSD camp is laughing at Linux this week. 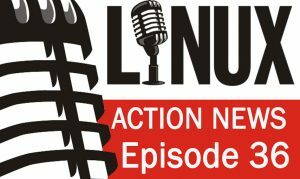 Plus Fedora’s new “primary architecture”, Ubuntu 17.10 is back & more! AMP changes aren’t good enough for some web devs — The Web is not Google, and should not be just Google. lkml.org is hosted on a home connection — The site’s backend is hosted on a machine at home which is waiting for someone to enter a luks passphrase after a power outage while on vacation. Expect prolonged downtime while I source replacement parts. Fedora might make AArch64 a primary architecture — Fedora developers are looking to promote their AArch64 / ARM64 / ARMv8 server offerings to being a “primary architecture” for this next Fedora release.